Inspired by his International Visitor Leadership Program (IVLP) volunteering experiences while in the United States, Jhonatan José Rodríguez Parra applied the knowledge and insight he gained to implement new strategies for HIV education and prevention through his organization “Stop VIH” (Spanish acronym for HIV), which has contributed significantly to the decrease of new HIV infections in the state of Nueva Esparta and Venezuela as a whole. Recently, Stop VIH’s productivity has grown by over 70%, resulting in over 350 talks at public schools and more than 2300 consultations performed under new vision and strategies developed as a direct result of Mr. Rodriguez’s participation in the IVLP program. The most notable idea sparked by his exchange was the app “StopVIH al día” which offers information about HIV transmission mechanisms, sexual and reproductive rights, life skills, and prevention technologies, and reaches more than 6,000 youth. 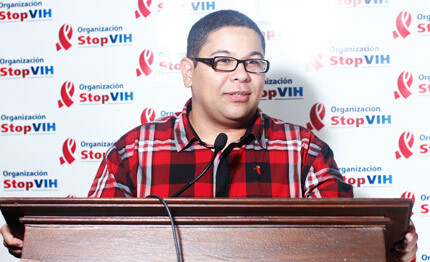 In addition to running Stop VIH, Mr. Rodriguez has collaborated with a number of entities including fellow alumni, U.S. and Venezuelan NGOs, and media partners to create a series of forums and workshops to raise awareness about HIV and sexual diversity, stigma, discrimination, homophobia, hate crimes, bullying and rejection, called “LGBTI Diversity and HIV in Venezuela: Paths to Inclusion." He has also partnered with IVLP alumna, Ana Arias, to create a series of educational radio public service announcements titled “Super Saludable” (Super Healthy) to promote messages to improve quality of life, and also with IVLP alumna Yanet Fermin, to help educate the youth population of Nueva Esparta about HIV. His initiatives have international and local support from the Casimiro Global Foundation and Venezuela’s Fundación Polar. In the past, Mr. Rodriguez has commemorated World AIDS Day by coordinating volunteer projects with other IVLP alumni that focus on children with HIV, but this year, his organization, Stop VIH, is coordinating the event “Education, Communication and Culture unite against HIV”, which will tackle stigma through the stories of individuals that have chosen to make their status public and are helping to break down the wall of silence. PAS Caracas is sponsoring a U.S. speaker for this event.